My self-imposed challenge this holiday season is to create new traditions for myself that are no longer dependent on others expectations, or a sense of obligation to anyone, or anyone to me. Not knowing exactly what direction these new traditions are going to be has been a bit bewildering, yet there is liberation. Making a choice to not abide by the past traditions that Christmas always held for me has been mind-baffling and emotionally tugging, yet I’m excited about the possibilities of creating new traditions that speak to me and for the life I live today. This isn’t to say I won’t be connecting with my family & friends. What it does mean is for the first time…ever…. I am not going to participate in something merely out of a sense of obligation and expectations to past traditions. I want to create new ones, ones of my choosing, ones for all the right reasons. But I had no idea where to really begin beyond the desire…….. I love how the universe works. 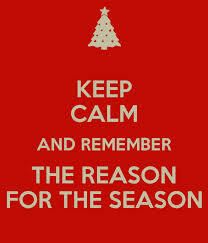 Deeply breathing in the “Reason for the Season” without any sense of reluctance is absolutely the new tradition I am looking for. Right at this moment though I can’t even imagine how this will feel. 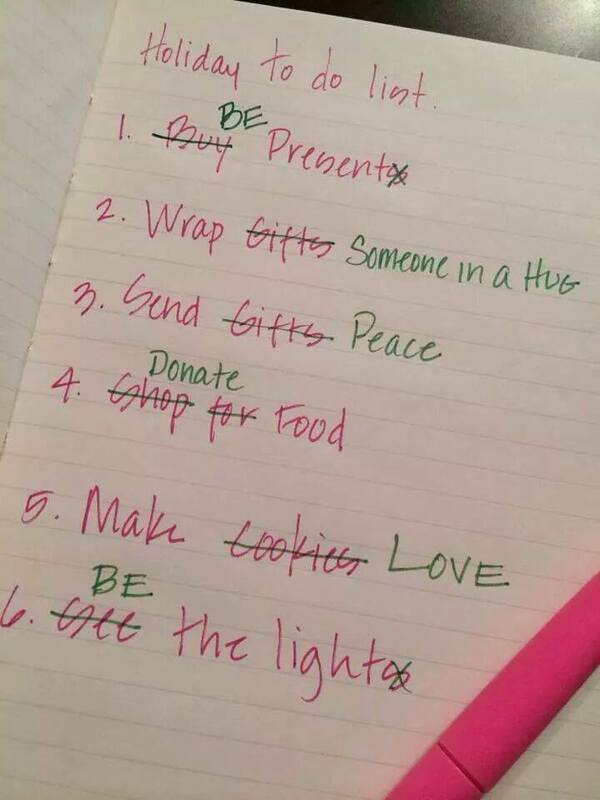 I now have a “To Do” list that speaks to me and what I want to be mindful of this Christmas; and how to get there. Giving myself permission to put my energy and focus exactly where it serves my spirit for the first time in my life is so exhilarating I’d go as far to say it’s intoxicating. With that being said I don’t expect everyone in my world to understand or “get it”. I hope though that for those who I matter to in their lives they won’t judge my attitude and actions. Or lack of actions as the case may be. No one has been privy to living in my head and my heart; and only a few know what I had been living as a state of mind, heart and spirit, that was literally helping my life slip away. I thought all my passions…all my fire… had been extinguished. I had merely let my passions become stifled. I had given up on hope & dreams. It matters none today why I had done; as long I know that I have the choice to grab everything about life that feeds every aspect of who I am. No more stuffing that which serves my mind, my heart, and my spirit. No more swallowing my feelings, my anger, my needs, my disappointments, and the biggie…. drum roll please…..NO MORE loneliness despite being in a room full of people. This for me is another step to an authentic independence to help me find in my world the happy and the complete. Having been on both ends of that spectrum, looking to others for my happiness/contentment; AND being the someone who others’ had looked to for theirs; it is a bittersweet realization to find that I had buried so much of myself to fit the idea of who others wanted me to be. I take complete ownership for teaching others that I was okay with this. It’s really self-sabotage, yet we all do it. Especially women do it. We all have been conditioned by society to believe it’s the righteous way to live life by being a full-time martyr……then to follow-up with feelings of resentments and complaints afterwards. I know it’s where I was headed. That is until I found comfort in my self. I’m retiring from the “Martyr Membership” that I belonged to all my life away. I’m putting the “Merry” back into my Christmas. I wish you and yours a Merry Christmas that truly feeds your own Reason For this Season. My Dear Sister, I am hopeful you indeed did have a great holiday. I congratulate you on your evolving independence, your evolving authenticity. Let’s all go and make somebody happy, today. Wherever we might be, and with whomever we might be. A little practice round in each morning, alone, and looking in a mirror praising the beautiful soul in front of you. Thank you for lighting my day up. It’s been a wonderful holiday, one of incredible soul searching for me. I’m no expert at anything in life really except moving forward. I’m quite okay with that. My New Year’s wish for you comes with much affection and hope that you my brother find abundant reasons to smile every day. Kit my dear bro I love you for THIS share. Thank you. You’re a beautiful soul and hero in my heart, that you share with me something so personal goes right along with all you share in your music. I have made your “Christmastime In Heaven” part of my new traditions. I’m going to repost the post from last year with your song. Much love my brother to you & yours…..and a very Merry Christmas. See you soon. Oh my gosh Jules you are such a smile maker. Thank you darling friend. I am trying to manage my time better so I can get back to following my favorite bloggers that became my extended family, like you. I miss what’s happening in your lives. Big hugs and massive love to you, and your beloved Ants & Ming.